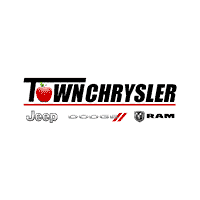 If you’re searching for used car dealers near Yakima and Moses Lake, you’ve got to see what’s available at Town Chrysler Jeep Dodge Ram. Here, you can expect to find 148 used cars for sale, hot on our lot. Finding a quality used car should be easy, which is why we thoroughly inspect each and every vehicle we receive. Whether you’re looking for a pre-owned Ram 2500, a pre-owned Wrangler, or a model outside the Chrysler, Jeep, Dodge, Ram repertoire, we’re happy to accommodate with a vast inventory. Explore our inventory online before visiting us for a test drive! Silver 2006 Chrysler Pacifica Touring AWD 4-Speed Automatic 3.5L V6 MPI 24V AWD. We Love this Town!!! Recent Arrival! 2001 Dodge Ram 1500 4WD 4-Speed Automatic Magnum 5.9L V8 SMPI Magnum 5.9L V8 SMPI, 4WD. We Love this Town!!! Recent Arrival! Silver 2009 Dodge Ram 1500 SLT BIG HORN 4WD 5-Speed Automatic 5.7L 8-Cylinder SMPI OHV 5.7L 8-Cylinder SMPI OHV, 4WD, ABS brakes, Alloy wheels, AM/FM radio: SIRIUS, Compass, Electronic Stability Control, Heated door mirrors, Illuminated entry, Low tire pressure warning, Remote keyless entry, Traction control. We Love this Town!!! Recent Arrival! White 2008 Dodge Ram 1500 ST 4WD 5-Speed Automatic HEMI 5.7L V8 Multi Displacement HEMI 5.7L V8 Multi Displacement, 4WD. We Love this Town!!! Bright White Clearcoat 2016 Jeep Patriot Sport FWD 2.4L I4 DOHC 16V Dual VVT We Love this Town!!! Recent Arrival! Odometer is 12851 miles below market average! Silver 2012 Jeep Grand Cherokee Laredo 4WD 5-Speed Automatic 3.6L V6 Flex Fuel 24V VVT 4WD. We Love this Town!!! Recent Arrival! Red 2011 Ram 1500 4WD 5-Speed Automatic HEMI 5.7L V8 Multi Displacement VVT We Love this Town!!! Recent Arrival! Silver 2009 Dodge Ram 1500 ST 4WD 5-Speed Automatic 4.7L V8 4.7L V8, 4WD, ABS brakes, Electronic Stability Control, Heated door mirrors, Low tire pressure warning, Traction control. We Love this Town!!! Red 2006 Dodge Ram 2500 SLT Mega Cab 4WD Cummins 600 5.9L I6 DI 24V High-Output Turbodiesel Cummins 600 5.9L I6 DI 24V High-Output Turbodiesel, 4WD. We Love this Town!!! Recent Arrival! Gray 2002 Dodge Ram 2500 4WD Cummins 5.9L 24V Turbodiesel Cummins 5.9L 24V Turbodiesel, 4WD. We Love this Town!!! Recent Arrival! Silver 2016 Jeep Patriot Latitude 4WD 6-Speed 2.4L I4 DOHC 16V Dual VVT 4WD. We Love this Town!!! Recent Arrival! Odometer is 31004 miles below market average! Why Buy A Used Car From Our Wenatchee Dealership? When you’re searching for used cars in Wenatchee, there are plenty of reasons to choose Town Chrysler Jeep Dodge Ram in Wenatchee, WA. For one, we’re deeply involved in the community – from giving drivers easy-to-follow tips, to providing Wenatchee foodies our favorite restaurant picks. Perhaps that’s why used car shoppers from Ellensburg to Quincy value our services so much, leaving us glowing reviews. So, if you’re still on the hunt for used cars in Wenatchee with good mileage, simply contact us. We’ll work with you to find the car you need. We want you to get a great used car deal, so we offer plenty of used vehicle specials as well as vehicles under $10k to further sweeten the deal.